Move Over Kale Chips... Here Comes Chard Chips! 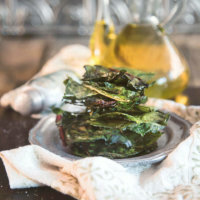 Home » Recipes » Move Over Kale Chips… Here Comes Baked Spicy Swiss Chard Chips! Kale Chips are a healthy alternative to a potato chip snack. And you can also use the same technique to make these Baked Spicy Swiss Chard Chips. 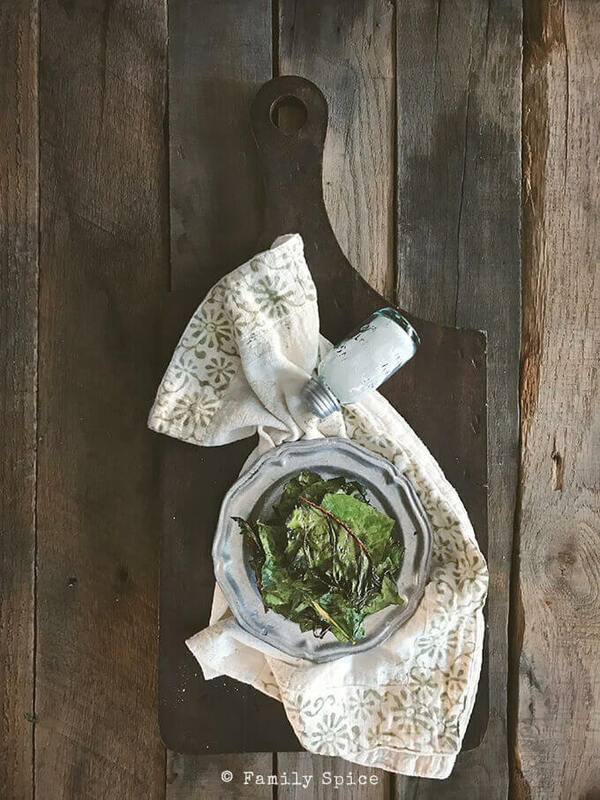 Have you joined the kale chips band-wagon? It’s an ingenious way to get your salty chip fix and eat a healthy green at the same time. I know, it’s not exactly the same as a potato chip, but it’s a great alternative if you are watching your carb intake while you get a jump start on your new year’s resolution or if you are dancing around in your swim suit this summer. I like keeping either kale or Swiss chard in the fridge for a number of reasons. So why not make some Swish chard chips? Kale is thicker than chard, but they are both packed with nutrients we all need. When choosing chard, I love using rainbow chard. Again, I love to eat the rainbow. Aren’t these colors beautiful? I have seen online that this technique can also be used for spinach and lettuce chips, you just have to reduce the cooking time as they are not as thick as chard or kale. You can also bake sweet potato chips and bake sunchoke chips (Jerusalem artichoke chips). So as you can see, the choices of making vegetable chips at home is limitless. Whether you are making kale chips or chard chips, the concept is the same. Cut up your chard leaves into equal pieces. 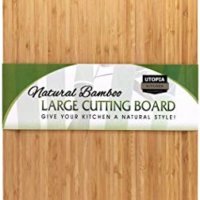 I chose to cut mine into 2-3 inch pieces. Then, toss with a bit of extra virgin olive oil, season with sea salt, spicy chile powder (or mild if you prefer), garlic powder, or whatever spices you like. I don’t have a dehydrator so I just bake the chard leaves in a 275º F oven for 40 minutes. It works pretty darn well, and I don’t have another gadget taking up space in my cupboards. It does require a flip over halfway through baking, but they crisp up beautifully. What do you think? What do chard chips taste like? Confession time: I am not a big fan of the bitter green. But, I have to admit that whether you snack on kale chips or chard chips, it is definitely a flavorful and healthy snack. And, on the plus side, it doesn’t smell like dead fish, like the dried seaweed my sweet daughter loves to snack on. What to do with the leftover chard stems? Since you only use the leaves for the chard chips, don’t throw out the chard stems. Check out this recipe from Cookistry on how to make Pickled Chard Stems! 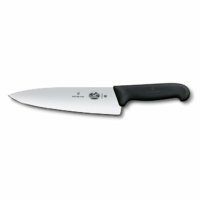 You can also chop up the stems and add them to Pickled Chard Stems or any other favorite soup. And for ways to add greens to your diet, like kale and chard, check out this great article from Shockingly Delicious! So grab a bowl and snack on, my friends! Like kale chips? 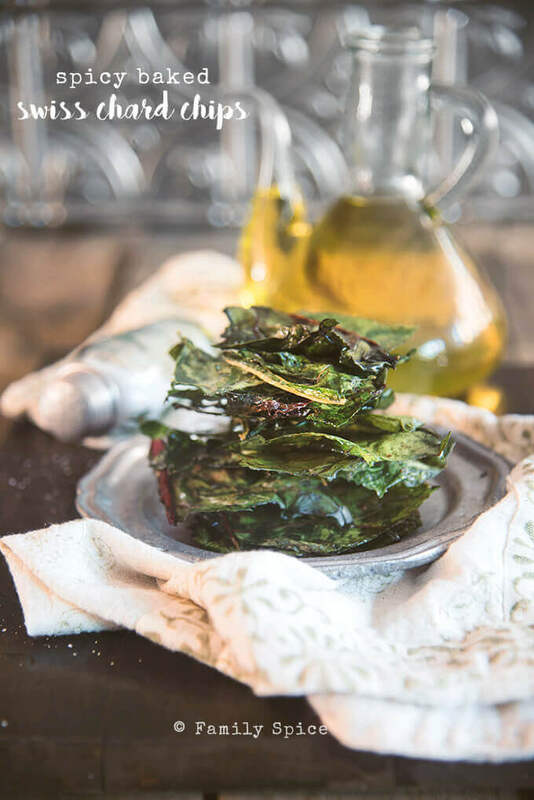 Then you'll love these seasoned & spicy swiss chard chips to snack on! Remove stem from Swiss chard leaves and cut into 2-3 inch pieces. Place cut leaves in one layer on a baking sheet and toss with olive oil. Season with salt, garlic powder and chile powder. OK, kale and chard on your side of the Pond. Neither is widely available here, but methinks fullsized silverbeet and fullsized bok choi [which we just about live on!] would make some interesting alternatives?! This does sound fun!! Do hope yo are having a great summer 🙂 ! 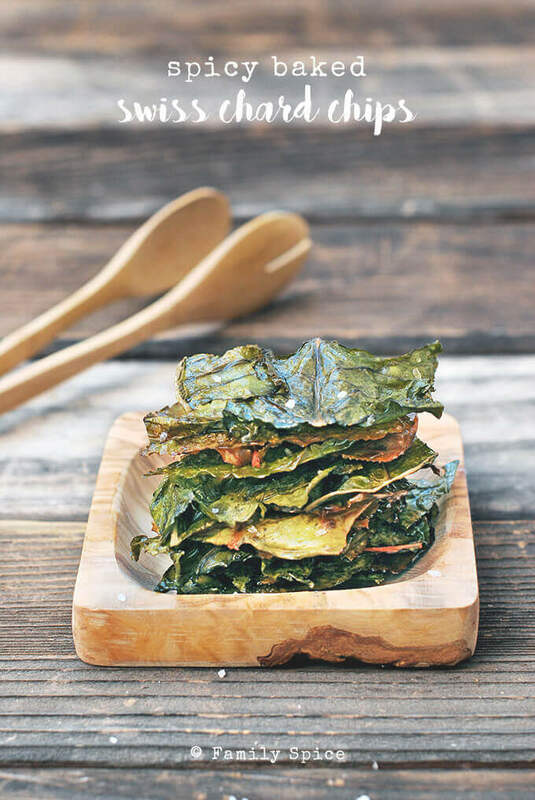 what a terrific idea – I’m a big fan of kale chips but never considered trying this out with chard. I really have to try these. I’ve been reading all about the kale chips, and really like the idea. 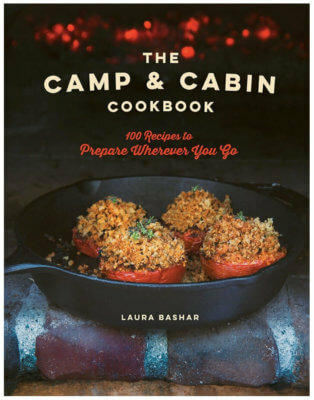 Like you, I have a lot of Swiss chard in my garden – and I already substitute Swiss chard for a lot of kale recipes, so why not this, too? Really nice post – thanks. 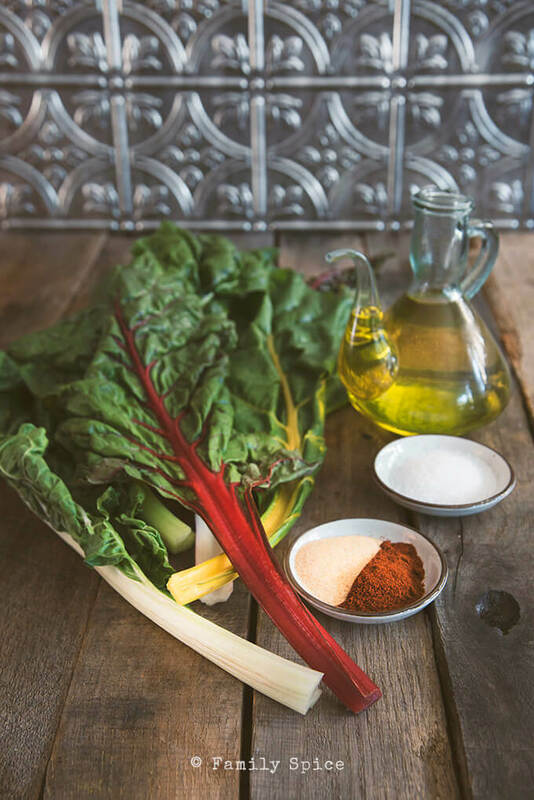 What a great recipe for chard! I’m always cooking it the same way and never thought to make chips out of it. I will be trying this for sure! Kale chips are so 2010. LOL. These look lovely. I like the stacked presentation/photograph! I never would have though of this… but they look so good. I love chard gotta try these chips! There’s nothing like trying to be healthy. I’ll tell my husband we are throwing out the chips and bringing in the chard. Close your ears. Really original idea someone had though. What a good idea, and I love your stack of chips! 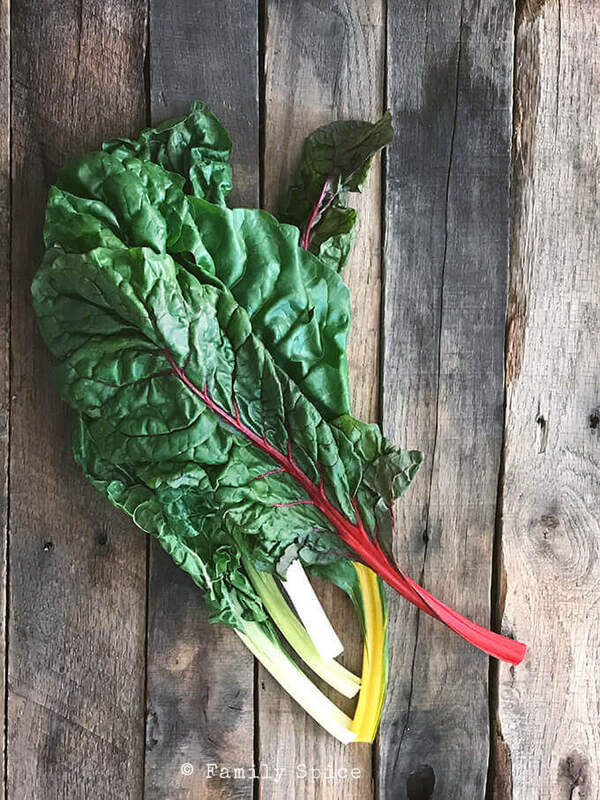 I’ve tried kale this year, but haven’t tried chard yet – I love the color of chard and I’ve been curious for a while. I just checked the recipe and was surprised how easy this is. Gotta shop for chard now!! What a great idea! I love kale chips. These sound perfect. Based on your delicious chard chips photos, we’d like to invite you to submit your food photos on a Food Photography site so our readers can enjoy your creations. Just made these. Thanks for the great idea! I love the title of your post! I’ve been searching for great swiss chard recipes and yours caught my attention! Yum! Hi Jen! Thank you for your kind words. I hope you enjoy the chard chips! I made this recipe twice. The first time the leaves stuck to the baking sheet and were tissue thin, which made them hard to eat (they kept breaking). My husband suggested that I stack the leaves to make the chips thicker and more sturdy. 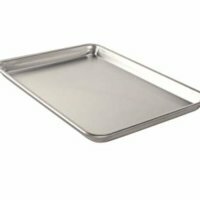 This was a vast improvement, as was lining the baking sheets with parchment paper. I stacked the chips as much as 6 leaves high. Required more baking time to completely crisp up, but did not require flipping the chips. The leaves were completely dry before I started; I massaged each leaf with oil to make sure all surfaces were covered. The result was way more edible from a structural standpoint. However I did not care for the taste–not a recipe problem, more a flavor of Swiss chard problem. I really wanted to love these because I have a bumper crop of Swiss chard in my garden, but I don’t like them enough to go through all the work involved. It took forever to wash, dry, cut, oil, stack and bake these chips and in the end I was disappointed. (My dog loved them though!) Still, I wanted to pass on these suggestions in order to help others who may feel differently. P.S. Oven temp of 275 deg. was perfect. Thank you for your suggestions. I’m sorry you had so much trouble with the recipe. The chard I had baked into chips were pretty thick, so I didn’t need to double up. If you don’t want to make the chips again, use the chard like spinach and add to soups, pasta, omelettes or casserole? Yes and I may even try putting it in a green smoothie (but the taste factor may still be an issue). Hey Laura, Inspired by your recipe, I thought to give a shot to it and I loved the result. They are easy to make and are very crispy. What I really enjoyed was the cheese which I had sprinkled on it. Never thought that even leaves can be made as chips. I have also tried beet greens as chips and they too were equally yummy. 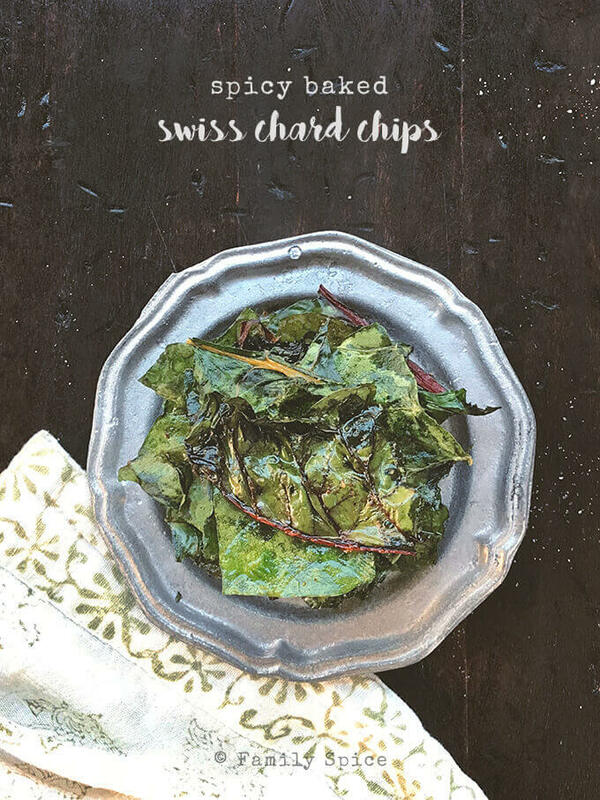 Here is my recipe https://www.plattershare.com/recipe/swiss-chard-chips. – Hope you will like it. Perfect recipe to curb the urge for salty snacks in a healthy way!! Such a good idea to make them from chard! Gotta try this.